Mosaic - tile ® offers a range of products specially adapted for your splashback of kitchen in aluminium or for your soil and shower walls. 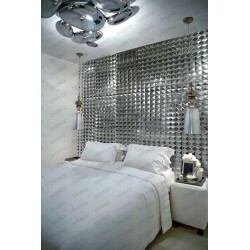 You will find plates aluminium, aluminium plates and aluminum tiles. Our company located on Paris (idf), offers for a few years now, the opportunity to buy our mosaic via our website and choose to retrieve your order on the spot (Paris idf) or by delivery in colissimo (post). 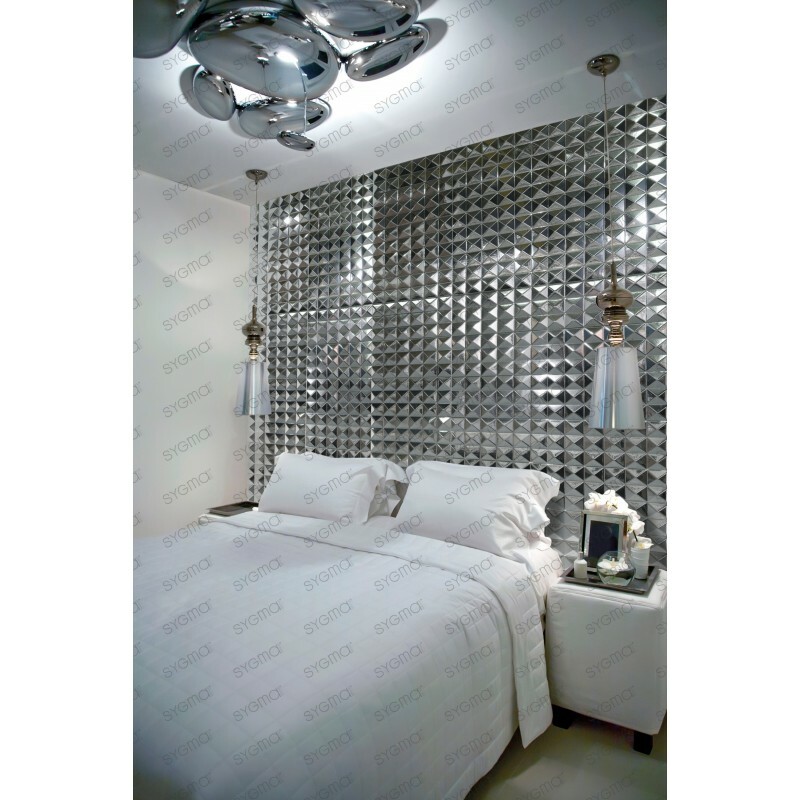 These mosaic aluminium plates are composed of gross brushed aluminum tiles. This aluminum coating is designed to withstand very extreme conditions. These aluminum plates, can be done indoors but also outdoors as this material is resistant to weathering, corrosion, wear and punching. Each tile aluminum is attached to a nylon frame that forms a large plate)± 30x30cm), this facilitates the installation of the aluminium mosaic. Laying of mosaic in aluminium plates, must be made on a medium rigid, regular, smooth, dry and dust-free. It uses the same glues and tools for the installation of a tile or a traditional mosaic. Tiles aluminum cutting is done with an angle grinder or grinder equipped with a metal disk. The first is to apply the glue on the support with a Tiler comb (2 or 3 mm). Then position the plates the next to each other. The second step (after drying of the first stage), is to make the joints between the tiles in aluminium with a plastic trowel and clean the excess glue with a damp sponge. The maintenance is done with a damp sponge, or a household product current. Never use too abrasive, corrosive cleansers or brushes and metal sponges.